/EIN News/ -- New York, New York, Dec. 11, 2018 (GLOBE NEWSWIRE) -- The Premiere Group, a wholly owned subsidiary of the Perfume Center of America Inc., has acquired the Derek Lam Beauty license, in a multi-year partnership that will see the creation of a premium line and expansion under the 10 Crosby Street Collection. Prestige beauty company, The Premiere Group, specializes in the various facets of marketing and sales across all global channels of distribution and was founded in 2015 with the acquisition of Kate Spade New York license. Positioned for brand portfolio expansion through licensing, distribution and sales management activities, The Premiere Group provides brands and distribution partners with creative product development, marketing, distribution capabilities and brand building services teamed with impeccable in-store execution. The acquisition of Derek Lam Beauty sets sights on The Premiere Group’s mission to become a world class leader in the beauty industry. “Derek Lam pushed boundaries with the launch of the 10 Crosby fragrance collection and we are thrilled to continue to innovate on Derek’s vision. Derek Lam will be an integral part of The Premiere Group prestige fashion fragrances portfolio and will certainly be one of our pillar brands. We look forward to working with Derek to introduce beautiful and innovative scents for consumers as soon as 2019,” states Brian Vander Meyden, Executive Vice President of Global Marketing with The Premiere Group. Derek Lam 10 Crosby, a collection of 10 scents inspired by the downtown Manhattan location of Lam’s original flagship store, launched in 2015. Lam sees major potential for his namesake through partnership with The Premiere Group and expansion of Derek Lam Beauty. 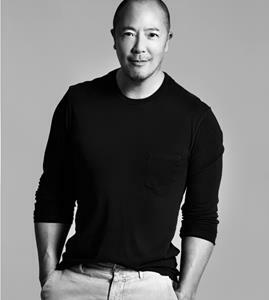 “The Premiere Group will be an integral partner in establishing and cultivating a unique point of view that will mark the future evolution of Derek Lam Beauty. Our goal with this collaboration is to acquire a strategic branding perspective in order to introduce beautiful and innovative fragrances that the consumer is craving in the current marketplace,” shares Derek Lam. The Premiere Group portfolio includes Kate Spade New York, Carven, Mercedes-Benz Parfums, Fila, Trussardi and Hanae Mori.